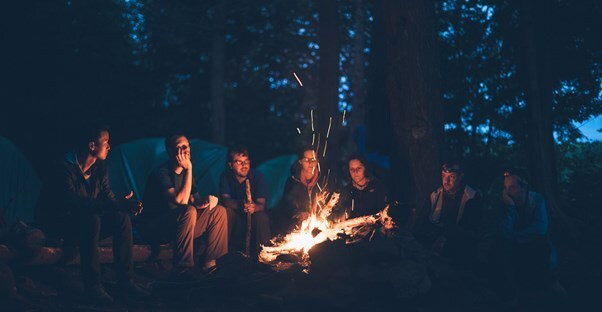 National S'mores Day is Friday, August 10, which obviously makes us want to run out the door after work and head outdoors for a camping weekend! If you're anything like us, though, simple hot dogs and a bag of granola aren't exactly going to get us through the weekend. Sure, you're outside to experience nature and unwind from the "connected world," but that doesn't mean you have to relegate your meals to the kinds of things you ate when you were 10. These upgraded campfire staples will have your mouth watering and fill you up without giving you that junk food feeling. Though they may seem glamping-worthy, they're super simple and are even perfect for an al fresco dinner when you want to stay home but enjoy the nice weather. Yes, we're starting with a dessert because it's obviously the best meal (and it's National S'mores Day)! Chocolate, graham cracker, and marshmallow. It's a perfect winning combination, so how do you make it better? With Smashmallow snackable marshmallows! They're made from simple ingredients like organic cane sugar, plus, they have only 80 calories per 4 marshmallows. Yeah, we said FOUR, and one is more than enough for a good-sized s'more. 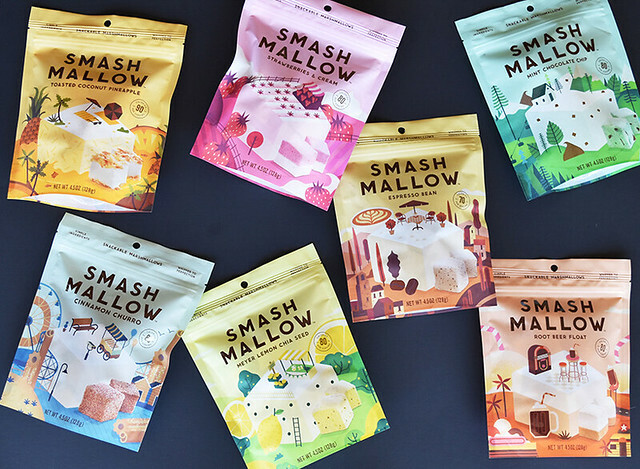 The best part, though, is that Smashmallow comes in different flavors that will allow you to create some truly unique s'more creations. Opt for our favorite, cookie dough, or even the cinnamon churro-flavored ones to give your s'mores an upgraded twist! It's proven that all foods are better on a stick, and that's especially true when you're camping! These are basically cinnamon rolls on a stick, and they're the perfect early morning food to get your little ones up and out of their sleeping bags to start the day. If they don't hold their own stick, they don't get breakfast! In addition to being made from ingredients that are compact and easily portable, these breakfast bites aren't laden with all the sugar of store-made coffee cakes or Pop-Tarts. This recipe from Almost Supermom is one of our favorites. One of our favorite activities while camping is taking a scenic hike. Whether it be to a waterfall or a promontory lookout, this usually takes up the majority of the afternoon. Typically, we'll get to the destination and have a picnic while enjoying the scenery before heading on back to the campsite. That's what makes these walking tacos such great lunch. They're portable, easily disposed of, and are fun for the kids. Think of them as a taco salad mixed up in your chip bag (aka no messy cleanups!). You can bring your ingredients in individual containers to assemble on site, or you can assemble them ahead of time (like we do) and reseal the bag with a clip or place it in a larger baggie. Eating on a Dime has all the details. The best campfire dinner is one that doesn't beg for your entire attention while making it. These easy southwest chicken packets are a set-it-and-forget-it recipe where you wrap everything up in a foil packet and let the heat of the fire do its magic. Then when you're done, the packet makes for easy eating and simple clean-up. Add to the list that it's healthy, and you have a meal that seems to check all the boxes! But it's not too good to be true. Dessert Now Dinner Later shows you just how easy they are to make.